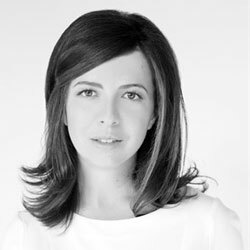 Dora Baghriche-Arnaud is a perfumer for Firmenich. She was born in Algiers and raised in the south of France. Her fragrance training was done at Firmenich and her mentor from the beginning was master perfumer Harry Fremont. In 2012 she joined Firmenich's Fine Fragrance department in Paris where she befriended fellow perfumers Daphne Bugey and Olivier Cresp.